Dr. Sinda Mein is board certified in Gastroenterology. 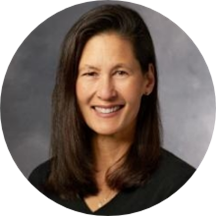 Prior to joining Menlo Medical Clinic, she practiced for 14 years at Palo Alto Medical Clinic. A Menlo Park native, Dr. Mein is thrilled to be practicing in her community. She brings a thorough, patient-centered, compassionate approach to all areas of adult gastroenterology and hepatology. Away from work, Dr. Mein enjoys being active and outside with her three kids and husband, traveling and cooking.